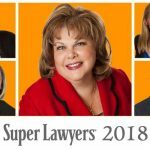 What to ask a Chicago Divorce & Family Lawyer before you hire them? Before you hire a family law attorney in Chicago, you need to make sure they are a good fit for you and your case. The following list of questions about the firm, your case and the financial implications of divorce are a good general starting point, but remember to ask all the questions that concern you prior to hiring the firm. The answers you receive are only going to be as good as the questions you ask, so make sure that you get all the information you need before moving forward. Even though the attorney may not be able to completely answer all of your questions, they should be able to provide you enough information to make you feel confident in their abilities and comfortable with their personality. Q. Does your firm exclusively practice Family Law? There are many attorneys who practice in various areas of law and often time offer family law services as “add-ons” to their general law practice. It’s imperative that you hire an attorney who limits their practice exclusively to family law. You want a specialist, an experienced family lawyer with a solid reputation. Q. How long have you practiced this type of law? 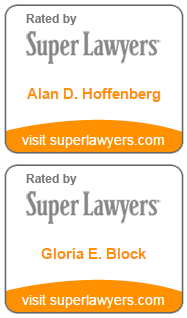 Ideally, you want someone with extensive experience in the area of your case. 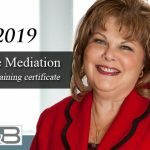 If you are getting divorced, you definitely want an honest attorney with a good reputation that is results-driven and devotes a majority of their time and effort to divorce. Q. How many cases of this type have you handled? How many in the last 12 months? As mentioned above, you want an attorney devoted to family law that specializes in the area of your specific case. Q. How quickly do you return phone calls? Your new attorney should be able to return your calls within one business day. Q. What should I do if I encounter a problem after office hours? Not all family law issues happen between the hours of 9am and 5pm. Ask if their office has an answering service or what their policy is on after hour communication in the event of an emergency. Q. Based on the facts of my case, how long do you think it will take to resolve my case? Ask what their plan is for resolving your case and what type of strategies they may use. Q. Who will handle my case? If it isn’t going to be the attorney you are meeting with, ask to speak to the person who would be in charge of your case. Q. How likely am I to get what I want? Am I being realistic? You want an honest attorney that will provide you with proper legal guidance and realistically manage your expectations. A lawyer that tells you “what you want to hear” and “promises you the moon” just to secure you as a client, is not the one to choose. Q. Is this a case you would try to settle? In many cases, the first and possibly best option may be to settle. Settlement is generally less expensive and potentially less stressful than a long, drawn out, hotly contested case that goes to trial. Q. Is there a chance of my spouse paying some of my legal fees? Sometimes, the court may order one spouse to pay the legal fees of the other and this is a fair question to ask. Ask for information about in-court and out-of court rates. Ask if a retainer fee (an up-front payment, similar to a down payment) is required and how much. Also determine if a different rate is charged for junior associates or paralegal work and if you will be charged for miscellaneous expenses. Q. How much do you think a case like mine should cost? If you are talking to a “Top Chicago Family Law Attorney”, one with years of experience in and out of the courtroom, that has been involved hundreds of cases similar to yours; they should be able to give you a general range of costs. If the attorney you are speaking to is unable to provide some type of “ballpark” estimate, you should consider a second opinion. Q. Are there any additional charges I should expect? Additional harges may include private investigators, forensic accountants, physicians, psychologists and even office expenses such as copies and postage. Many attorneys accept cash, check and major credit cards as payment for their services. In addition to contemplating the answers to these questions, you need to take into consideration how the attorney made you feel personally. What was your first impression? Where you comfortable with their personality, did you like the way they responded to your questions or were they defensive and restrained? Selecting a lawyer is a very personal decision. 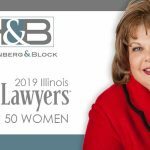 You may prefer a male attorney; someone you feel is aggressive and intimidating, while others may a want female; someone they feel is more nurturing, friendly and easy to talk to. 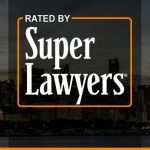 Only you can decide what you are comfortable with and what will convince you that you are choosing the best Chicago Family Lawyer for your situation.